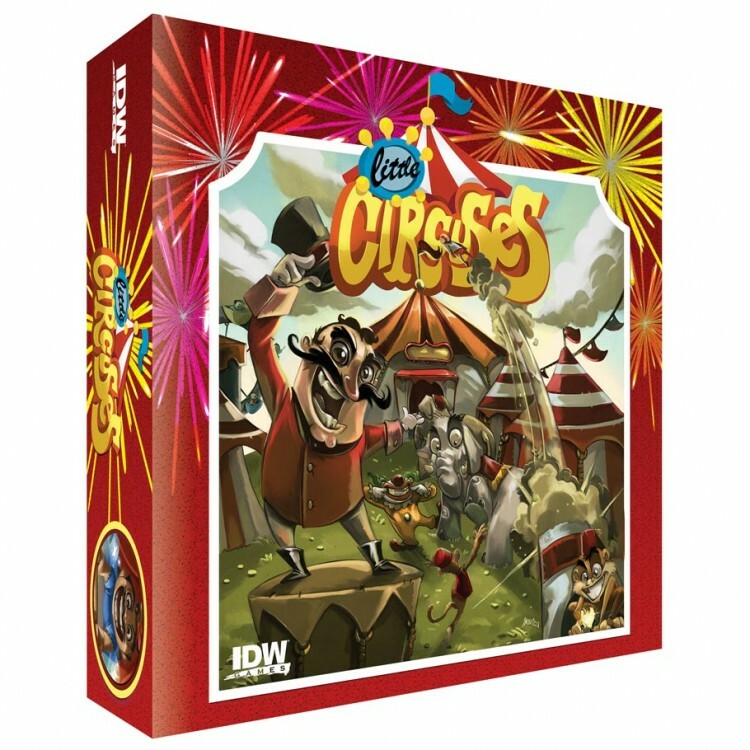 CHEW, Descent) Little Circuses, is frolicking fun for 1-7 players of any age. Little Circuses is worker-placing, circus-building fun for up to 7 players. This little gem is ready for your biggest game group and still playable in just 45 minutes!